What a lovely day to spend the weekend. I have Sing Sweet Nightingale playing on repeat on youtube. Such a lovely song. I've been listening to Disney songs while getting ready every morning too. I've been trying mo minimize time getting ready every morning so I'd have time for breakfast. I can do it with only skin care and bb cream, no problem but I'd be looking like the walking dead. I tried going back to using bb creams too, it still gave me blackheads so I'm keeping them in the drawer for now. 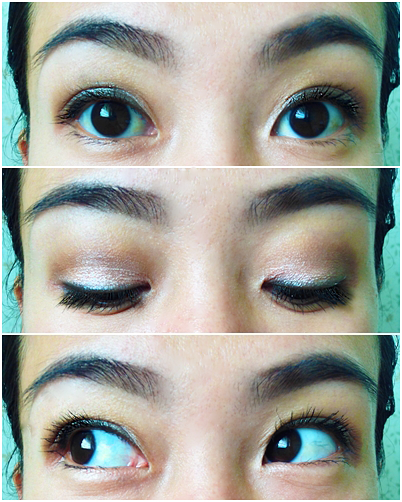 Here's my go-to eye makeup this week. I noticed how it brightens my eyes and opens them up so, I'd look awake eventhough I've been having a hard time sleeping every night. 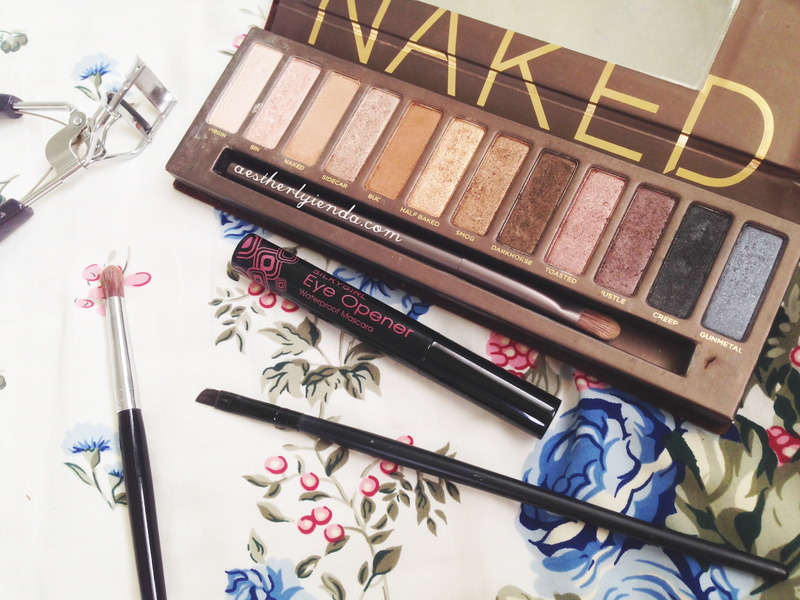 From the original naked palette. Angled brush, blending brush, also the brush that comes in the naked palette and eyelash curler. I don't apply shadows on the bottom just because it usually creases and by the end of the day, I'd be looking like a raccoon. I do apply shadows if I'm attending any occasion though. I switch back between my everyday smokey eyes and this makeup look depending on my mood. I've been loving this eye makeup look for now though. Fast and easy.